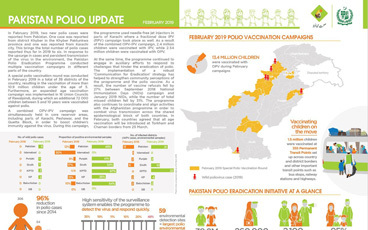 In April 2016, the polio programme embarked on a massive, coordinated effort to withdraw Sabin type-2 from routine use, through a synchronized switch from the trivalent formulation of the oral poliovirus vaccine (tOPV) to the bivalent form (bOPV). 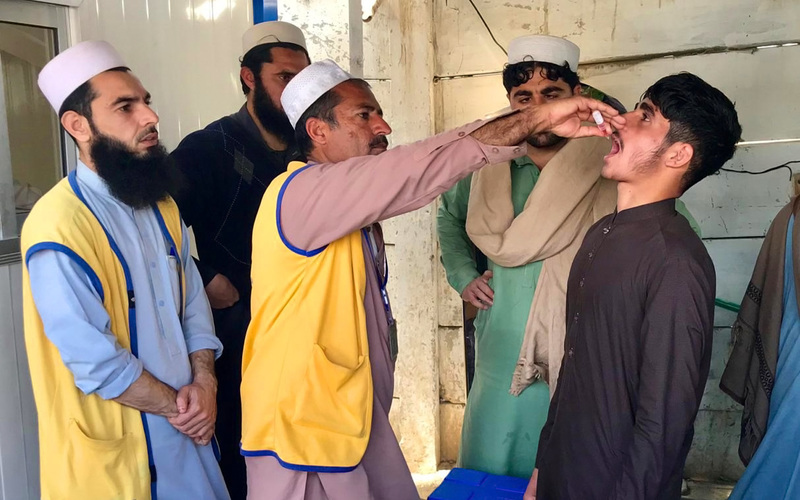 Over a two-week period, 155 countries and territories successfully made this change, marking the largest and fastest vaccine rollout in history. Referred to as simply “the switch,” this global undertaking was a major programmatic achievement, but it was also a necessary step on the road to eradication. That’s because, in rare cases, the live, weakened virus contained in OPV can mutate and spread, resulting in cases of circulating vaccine-derived polioviruses (cVDPVs). The vast majority of these cases are caused by just one of the three components contained in tOPV (Sabin type-2 virus), so switching to a bivalent form that doesn’t contain this component was an attempt to significantly minimize the risk of further cVDPV2 cases – a decision that was endorsed by the global health community. Further, with Sabin type-2 responsible for 40% of vaccine-associated paralytic polio (VAPP) occurrences – a much rarer phenomenon at 2-4 cases per 1 million ‒ there was even stronger justification for the switch. To assess whether the switch was successful, a group of researchers from Imperial College London, the World Health Organization and the Bill & Melinda Gates Foundation analysed stool and sewage samples from 112 countries collected in the first 15 months after the switch. The results, published in The New England Journal of Medicine, show that VDPVs and Sabin type-2 excreted into the environment after vaccination disappeared rapidly after the switch, shrinking to a much smaller geographic area. These findings validate the GPEI decision to withdraw tOPV and demonstrate that the switch achieved its desired goal of reducing VDPVs and VAPP. This research also provides important evidence that the complete withdrawal of OPV after eradication of all wild polioviruses will eventually eliminate the risk of VDPVs, provided high immunity and effective surveillance are maintained. Eradication is simply not compatible with continued use of OPV. The study also showed, however, that while some outbreaks of VDPV were expected post-switch, the number and magnitude of some of these outbreaks in different geographies has proven more difficult to control than expected. Type-2 VDPV outbreaks outside of Africa have been responded to with monovalent type-2 OPV (mOPV2) and controlled. 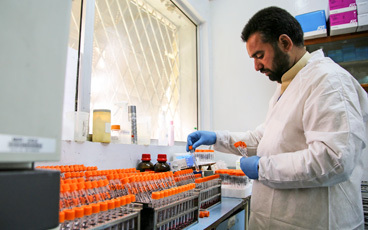 However, outbreaks in the Horn of Africa, DR Congo and Nigeria have been very difficult to bring to a rapid close. VDPV outbreaks emerge in areas with very low population immunity, due to low immunization coverage. Factors which enable them ‒ insecurity and resulting inaccessibility, weak health systems, and poor campaign performance – are the same that need to be addressed to stop their transmission. 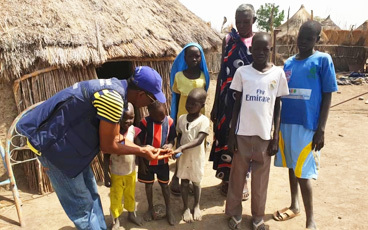 While the programme is aware of these risk factors and has proven experience and strategies to respond to them, the longer outbreaks persist, the harder they can be to stop. 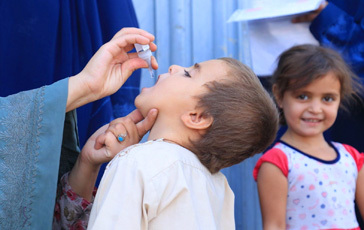 The key to stopping these outbreaks will be to increase the focus on improving the quality of vaccination campaigns in accessible areas. In inaccessible areas, we need to use all available means to negotiate access and implement vaccination campaigns. 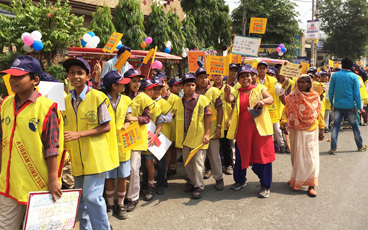 Achieving high quality campaign activities will give us the best chance to stop all types of poliovirus for good and prevent any child from being paralysed by the virus ever again.